Granted this isn’t Divergent even if Divergent would have been paranormal and not dystopian but it is classic JLA. My personal belief is that this author is at her best when writing angsty hormone filled young adult stories like her Lux and Convent series. What makes this one good is it is more unique in its opening book than the other two, not to take away from those amazing series. 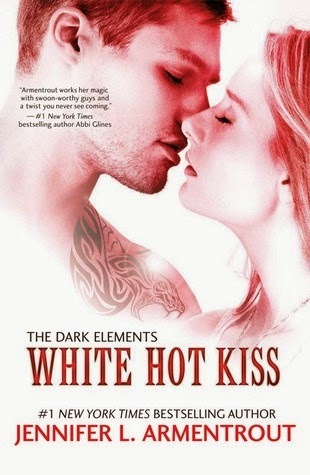 I wasn’t sure what to expect after reading the first line of the blurb one kiss could be her last. It read much like another young adult paranormal series I read long ago. Kind of the same with a “good guy” that the heroine shouldn’t be with and a “bad boy” she’s perfect for. And the whole kissing theme is kind of the same. But the plot arc is different I guess. If you are a YA urban fantasy lover, this book may not be for you. This is more of a paranormal romance story because the focus is more on hormone filled moments. And in my opinion, there is nothing wrong with it. There is still world building and a problem or problems to solve, but they center more around the heroine and her life. Much like a coming to age story. And there were times when I wanted to smack Layla, but she’s lived a sheltered life. I couldn’t blame her for some of her reactions and responses to certain things. She did however break out of her shell at some point in the book and I’m totally looking forward to the next one. There are two hunky guys in this one. I can’t say it’s much of a love triangle when one guy isn’t available for a number of reasons. And it’s only her love for him that makes some sort of triangle. Anyway, I’m anxious for the next book in the series and will snap it up as soon as the audio version becomes available. Saskia Maarleveld did a good job with narration. She did a great job with keeping the characters sounding different.